There’s nothing like a special day to do something fun with the kids. And the thing I love about St. Patrick’s Day is that we can have all sorts of fun with the color green! 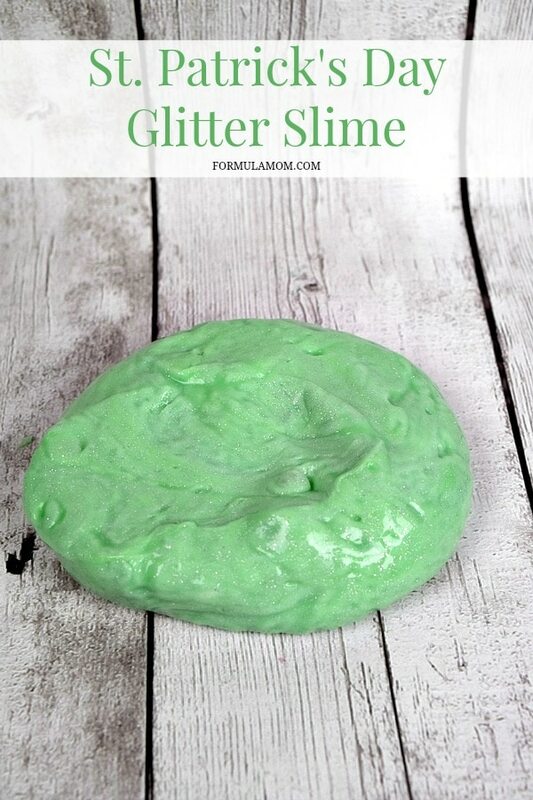 This easy St Patricks Day Slime was a huge hit with W and I’ll probably have to make it in a few other colors! Living with a preschooler is all about finding ways to keep him busy. And if it involves getting in his hands into things, that’s even better in his book! 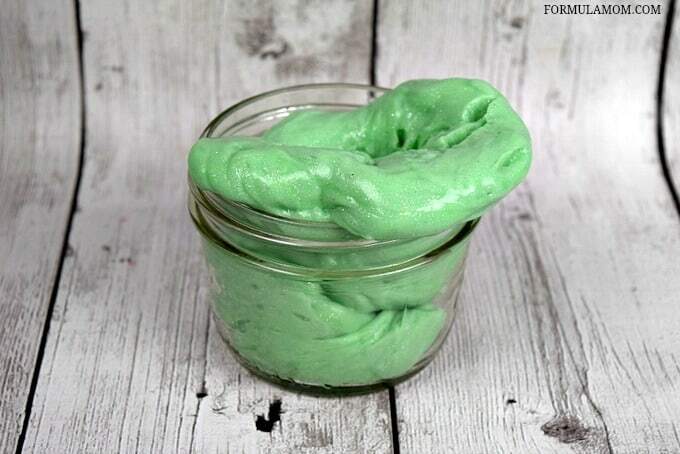 So this easy slime recipe was perfect to keep him happy when our weather was cold and rainy outside. I’ve included affiliate links to the basic ingredients (and yes, I recommend getting the big gallon of glue because if your kids are like mine — they’ll be hooked after you make this) so you can stock up on what you need! Pour 1 cup of water into a small mixing bowl. 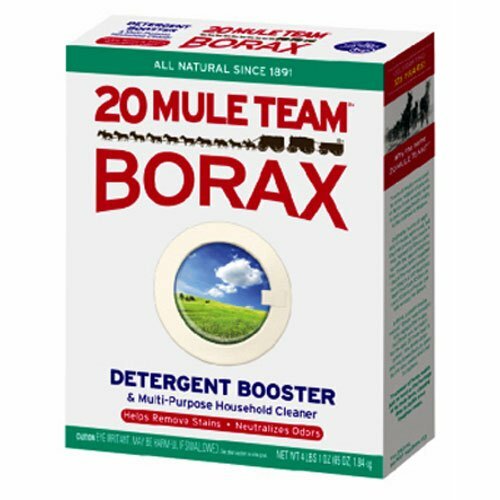 Add 2 tsp of borax powder. Mix together until powder is dissolved and set aside. 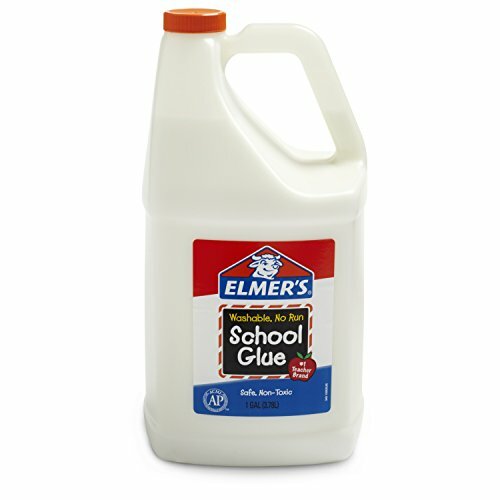 In medium bowl, pour the entire bottle of white school glue and 1/2 cup water. Stir until well blended. 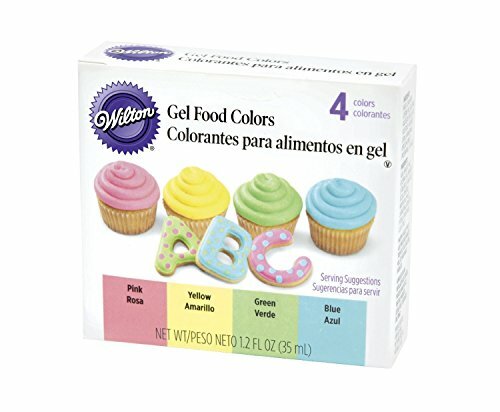 Add 5 drops of green food coloring and 2 drops of yellow food coloring to the glue mixture. 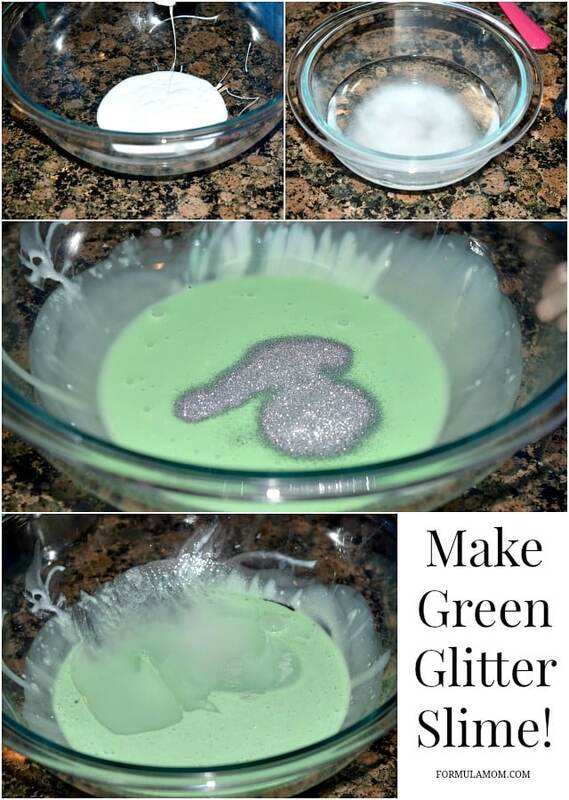 Add a generous amount of glitter to the bowl and stir to mix it all together. Pour the contents of the small bowl into the center of the larger bowl and wait for the products to become solid. Then using both hands squish the slime together to make it more solid. Form it into a ball and pour the remaining liquid out. The slime is now ready to be played with! 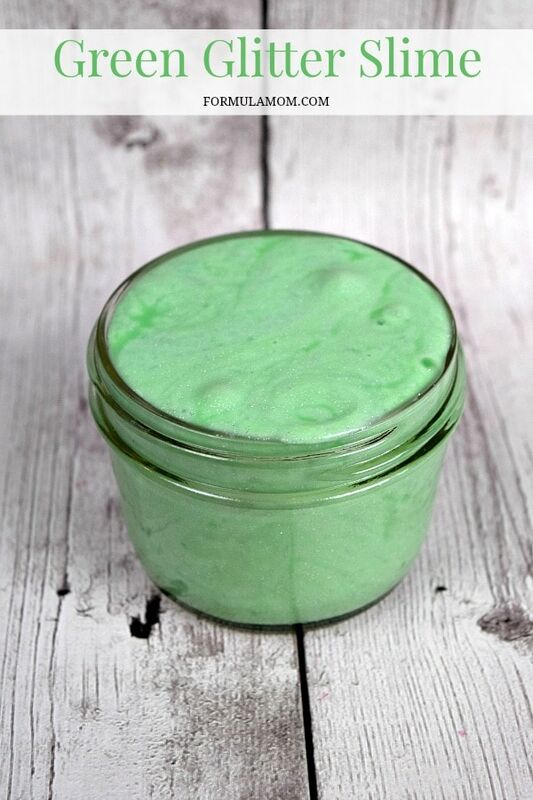 When finished playing, store your slime in a mason jar or a zipper bag to keep it fresh! Another fun idea for St. Patrick’s Day would be to do smaller half batches of slime and color them a rainbow of colors! Just another fun way to play with slime. But if you have to just make one color, I would go with the green! The light green color is also perfect for the whole spring season (and even Easter). And the glitter just adds a little extra fun! How do you make days like St. Patrick’s Day special for your kids? Follow Mariah Moon – Formula: Mom’s board St. Patrick’s Day Crafts, Recipes, & Activities on Pinterest. Oh how fun is that? Carter would love to play with it! Anything ooie and gooie is right up his alley! I will have to make this for him! Fun! I didn’t know it was this easy! Thanks for the idea Mariah. I’m excited to make this slime with my snuggle angel! I have never made anything like this before. I didn’t realize how easy it would be, the kids would have fun with this.